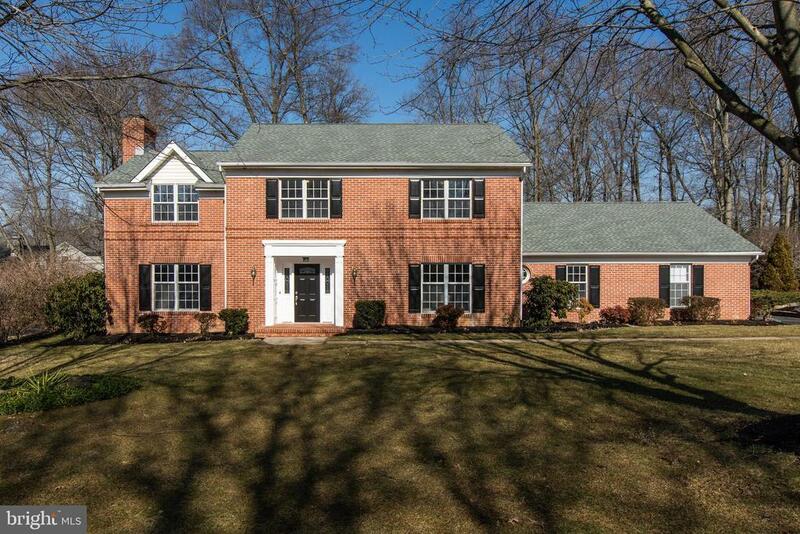 Classic in construction, this Bonvetti brick colonial with 4 bedrooms, 2.5 baths and turned 2 car garage is located in the desirable North Wilmington neighborhood of Carillon, a private enclave of 17 houses. The inside has been completely freshened up by the current owners to reflect the modern design style of today. All of the rooms are very generous in proportion while staying extremely comfortable and warm to live in and enjoy. You will truly be impressed by the amount of light that filters into all of the rooms. A large foyer with a turned staircase and two coat closets greets you at the entry of the home. The formal living room to the left is highlighted by a brick fireplace. Dining room with crown molding and chair rail is perfect for entertaining. There is a first floor office adjacent to a family room with oversized picture window overlooking the flat rear yard. Spacious kitchen has island and breakfast area with sliders to the screened in porch. First floor is also host to a separate mudroom/laundry room. As you enter the second floor you will be impressed with the landing that feels very open unlike most North Wilmington homes. The master suite features a private bath and large walk-in closet. There are three additional bedrooms, hall bath with two sinks, and abundant closet space. Storage abounds in the unfinished basement or attic. The roof and HVAC have both been updated. Situated nicely on a premier 0.55 acre lot there is ample room to entertain on the paver patio or enjoy gardening or games in the yard. Down the street you will find the renowned DuPont Country Club which is in the midst of a massive renovation. Conveniently located with easy access to shopping, dining, and all major roadways. This is truly one of the highest quality built homes on the market today on the west side of 202.